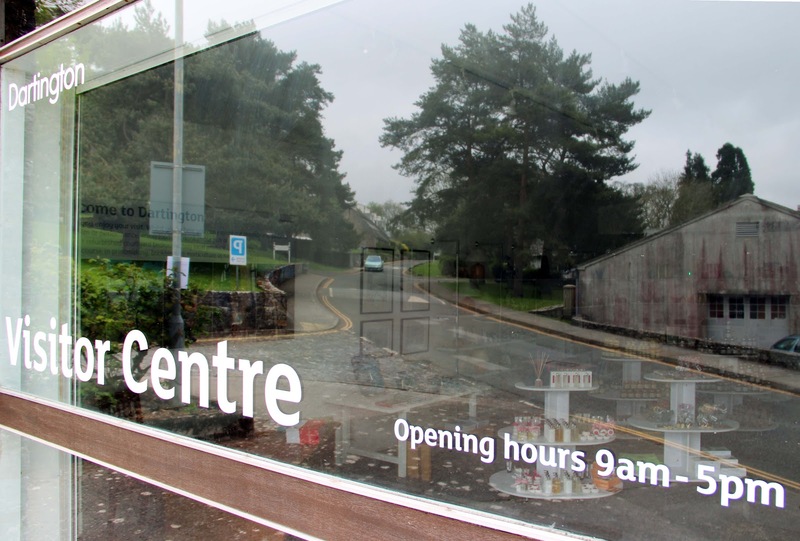 This weekend over 30 studios in Totnes and Dartington are open to visitors as part of the latest Opinion Studios exhibition. On Friday we visited several of these. 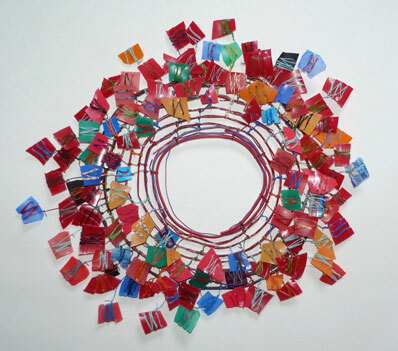 The Birdwood House Gallery is showing textiles by Susie Gillespie. 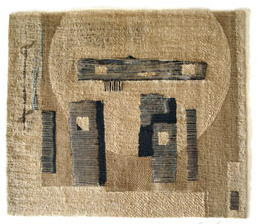 Her work is based upon prehistoric textiles and she uses antique flax yarn and hand-spun Nepalese nettle. The results are textile pieces which have a textural richness and a tactile appeal, while retaining the appearance of 'Art' pieces. 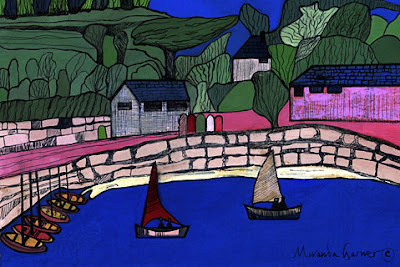 Around the corner we called into Miranda Garner's at Castle Court, where she is showing her paintings of the Devon coast and inland scenes which have a stylised and colourful appeal. Her work is also on display at the Dartington Hall visitor centre. We then called into Deborah Duffin's studio which is just off the top of the High Street. I've admired Deborah's work since I saw it at TAAG last year. However, the display at her studio has allowed far more of her work to be shown, whether it be cleverly-contructed sculptures made from wire and recycled materials or painstaking and beautiful drawings which start from organic observation but which develop lives of their own. 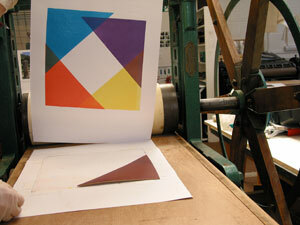 Finally, we drove a couple of miles up the road to see the Dartington Print Workshop. This is a significantly sized room (at least four times the size of Double Elephant) containing around four presses and all the facilities needed for printmaking - whether it be linocuts, collograph, drypoint or monoprinting. We were able to see work being produced and to look at completed work (and potentially buy it). On the way out we called into the newly-opened visitor centre for Dartington Hall. Hi. A bit off subject here but I put a link up to your Dory Previn post today, I hope that's OK. I was posting a track as a tribute and in relation to an earier post I'd written.